Let me just tell you that I could have the biggest Marvel fans on the planet living in my house. Superheroes are kind of our thing. Any chance my kids get they love to check out comic book stores, see an action movie with their favorite characters, or just play all day with or as Marvel super heroes. We definitely have a few favorites–Spider-Man, Iron Man, and Captain America. 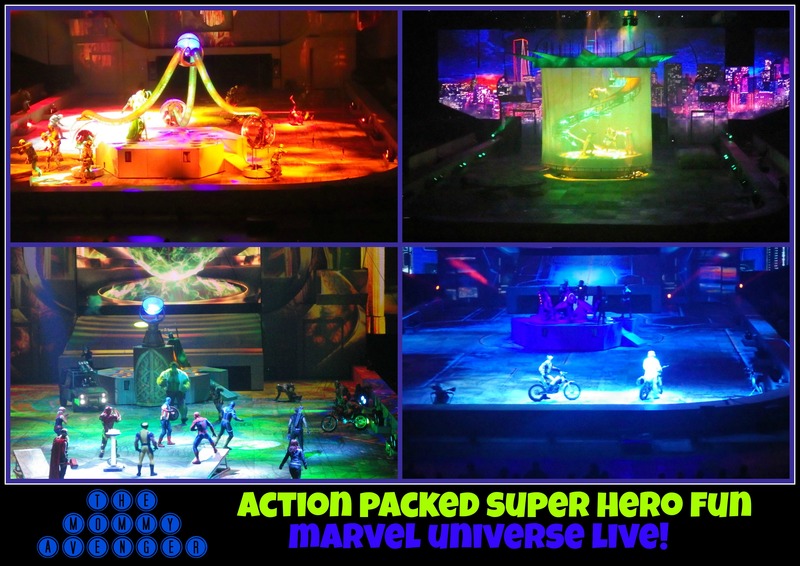 Back in February we started seeing commercials for Feld’s Marvel Universe Live! and knew it was something we would not want to miss when it came to our area. 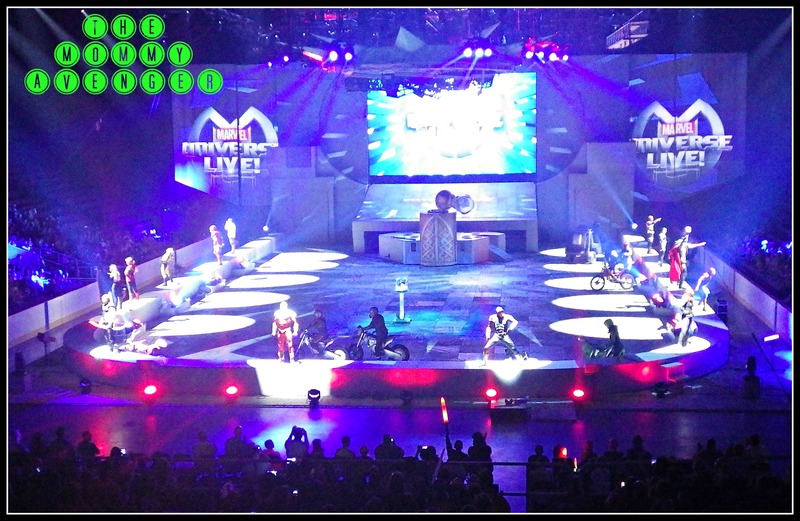 You can imagine my children’s excitement when we received the invitation* to come and see Marvel Universe Live! on opening night in the New York/New Jersey area. They could not wait! We were treated to a pre-show event of dinner and games with many photo ops. They had a fun time playing the games, especially when my kids got throw on some boxing gloves and knock out dummies strategically placed in their way. Soon it was time to find our seats and wait for the show to begin. We had great seats to see all the action! We were surrounded with little super hero fans and the air was pulsing with excitement. The show began and we were all enthralled. Talk about action packed entertainment! It was like watching an Avengers movie with tons of extra cameos to supercharge it. Spider-Man, Wolverine, Bruce Banner, Iron Man, Captain America, Hawkeye, Nick Fury, Black Widow, Thor and lots more were there. Incredible costumes and special effects had us feeling like we were seeing a movie being filmed in front of us, stunts and all. There was nothing cheesy about it, just pure action packed fun. My kids couldn’t get enough of it! In addition to our favorite super heroes, there were plenty of super villains on hand to try to thwart them. The plot of the show was really great and there was a definite mission for them to accomplish, making it easy to follow the show. We loved seeing Iron Man go against Extremis and Spider-Man battle all of his well-known opponents like Doc Ock, Rhino, the Lizard, Electro and,of course, Green Goblin. Captain America even fought against Red Skull and Madame Hydra, all while riding dirt bikes and performing stunts. All the while, the ultimate foe, Loki, was waiting to defeat the team of good guys. It was so exciting! Pyrotechnics, amazing special effects, detailed and stunning costumes, incredible stunts, this show had it all! This was the best “kids show” I have ever seen. If you have Marvel fans in your house, this is a must-see! 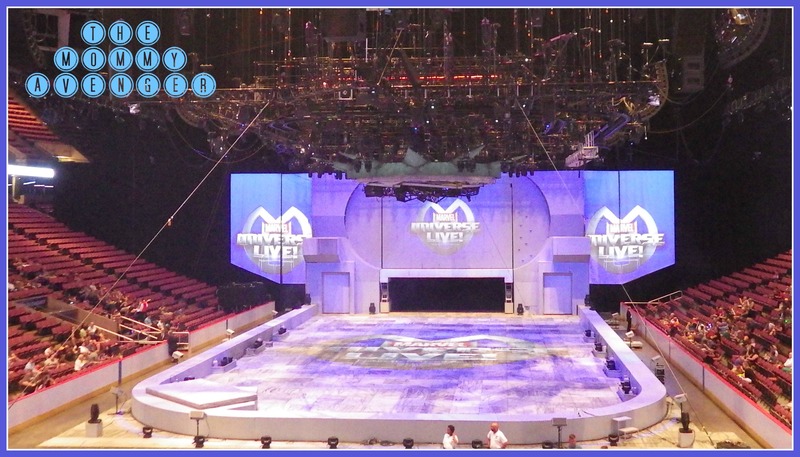 Marvel Universe Live is playing at the IZOD Center in East Rutherford, New Jersey now through August 10th and tickets are still available. Wondering if it will also be coming to your neck of the woods? Check out the tour dates here. *We were invited to come and see the show to facilitate a review. All opinions are my own. I can’t wait to have small children again so we get to go to all of the neat stuff without looking like weirdos! My hubby would love this, new grandbabies (twins) in January will be our saving grace! Thanks for sharing! That looks like a lot of fun. My nephew would have loved that. Looks like a good time, i wish we could go but we have plans on the 10th.. There is not a bad seat in the house at the Izod center. I’ve never heard of this before, looks like a great time for the kids. That’s uber cool! I’d love to take my nephew to that… for him of course. This looks like a pretty cool show. My husband would totally take my two boys! Looks like fun! Cool pictures! it looks like it was an awesome time. This would be so much fun. My kids would have loved this when they were kids. Thanks for sharing. Looks like a really fun show for the kids! Hopefully the show passes through here soon! My son and his girlfriend would just love this adventure as they are huge Marvel fans. I have never heard of this show. My kids would love it if it came near our home town. Wow! This one is totally amazing. I never heard of Marvel Universe live. I’m sure your kids had a blast during your visit there. This is awesome! I had no idea something like this was going on- beats Disney on Ice any day!! I was talking to my husband about this, it looks really cool, this is totally something the whole family would enjoy. I’ve got to check the schedule. This is something we would all love to see, I think. I so want to see this. it looks like a great show! 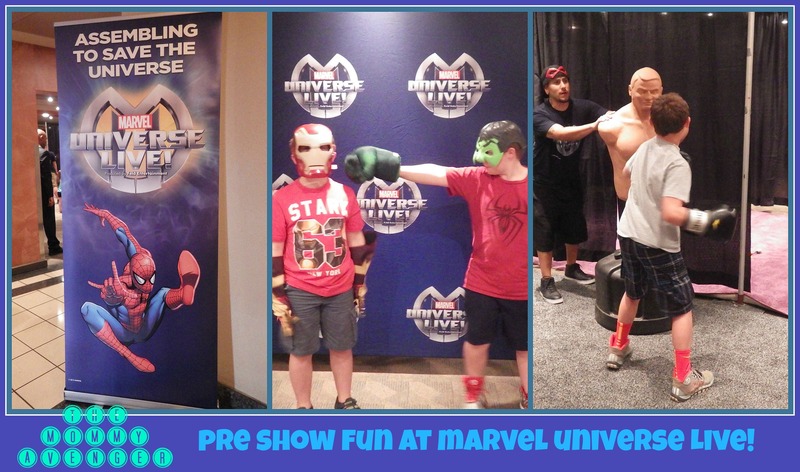 Marvel Universe Live looks like a great event for kids and families. I would love to go but we will not be in the area during the show. This looks incredible! I can only imagine how excited your kids were. My boys are so into Super Heroes that for 1 month I was only referred to as Firestar and my Hubs was Hulk. I think I would get mom of the year if I took them to see this. Wow, what a neat experience! My son is a huge Marvel fan, he would love this! In what section did you sit? I have been trying to buy seats and the price range is huge. Is there a section you would recommend? I was in section 101 and it was directly in front of the action. I think anywhere you go will be good on the lower level due to the way it is configured. You will love it!